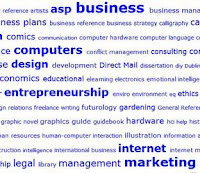 Have you recently used the links we provide in the online resource center section of nyssbdc.org? If the answer is "no," you're not alone. I have to admit that I'm not familiar with all of them. Do you have any favorite links that we haven't included? Are there things here that just shouldn't be? (The answer is yes, but which ones?) We try to keep up with broken links, but we haven't evalutated for the quality of the sites in a while. I don't feel that we have to offer our visitors the world, but a quick glance at some important resources would be great. What do you think? Feel free to comment here, or send me an email. The world of the librarian is not always as glamorous as it might seem. Sometimes, it's just trudging through the mire. Someone wanted to know what New York's stand on "green cleaning" is. Not finding sufficient info by looking at databases or by Googling, I decided to make a call to the state Department of Environmental Conservation. I was transferred SEVEN times, before the last person told me that I needed to contact the Governor's office. I was transferred only TWICE before I was given the state Health Department. FOUR transfers later, I found Nancy; SHE knew exactly what I was talking about, but she wasn't the one I wanted; the guy she thought I should talk with was home with a broken leg. Taking pity on me after my tale of woe, she called him at home, and he gave her, and she gave me, the number to a guy named Kurt Larson in the Office of General Services, who, unfortunately wasn't in that day. But he WAS in the next day, and he had my answer. He pointed me to the OGS website. Hover the mouse over Building Administrative Services, click on to the Environmental Services Unit, and one should end up here. You’ll find the Executive Order, legislation, approved products, everything one might need to "go green" in New York State. We're members of the National Restaurant Association (though the only things we cook around here are leftovers at lunch). As such, I get emails from this organization, linking to stories that represent current trends in the industry. Today's email cited a recent story in the Providence Journal (you might - MIGHT - have to register [for free] to read this) as to the trend of naming restaurants after their location. Restaurants rely heavily on word-of-mouth, and if its name includes all or part of its address, then industry insiders feel that these owners have a great advantage. The article cautions against possible trademark infringement, as well as taking care not to create a name that sounds more like a union chapter than a place to eat. However, keep this advice in mind for your restaurant clients who are still debating what they should call their place. The Knot takes steps to ensure that its respondents are representative in terms of geography and household income. But research manager Kristyn Clement acknowledges that The Knot's members may not be typical spenders. "Our market is brides who are planning an actual wedding and putting resources toward that event," Ms. Clement says. "Are there brides who are not spending money on their weddings? Potentially." Rebecca Mead, staff writer at Conde Nast's New Yorker magazine, writes in her new book, "One Perfect Day: The Selling of the American Wedding," that the survey covered only brides who had made themselves known to the Bridal Group and thereby "already demonstrated an interest in having the kind of wedding that bridal magazines promote." Ms. Mead, whose own wedding cost was "substantially below" the widely reported numbers, says in an interview that couples who hear the numbers may think, "There's no way around it; there's no alternative. That means, from the perspective of the wedding industry, you have this group of consumers who are resigned to spending a huge amount of money." What the abstract doesn't address is the arithmetic fiction of these surveys. The so-called average cost -- between $27,400 and $28,800, according to the latest iteration of these surveys -- is a mean. That's the kind of average you might remember from grade-school math: In this case, it's the sum of all the survey responses, divided by the number of people surveyed. The mean is especially susceptible to a single lavish exception: One $1 million wedding put into the mix with 54 weddings costing $10,000 each would boost the mean to $28,000, although among the 55 couples, $10,000 would seem a much better representation of the typical cost. For the three surveys, the median wedding cost is closer to $15,000. The median is the middle figure when you line up a set of numbers in order of size. It is a popular choice for social statistics because it is unperturbed by very small or very large numbers. Anyone wanting the whole article, please let me know. In an article in yesterday's (September 18, 2007) New York Times by RICHARD PÉREZ-PEÑA, the paper announced that it would stop charging for access to parts of its Web site, effective at midnight night, "two years to the day after The Times began the subscription program, TimesSelect, which has charged $49.95 a year, or $7.95 a month, for online access to the work of its columnists and to the newspaper’s archives." "In addition to opening the entire site to all readers, The Times will also make available its archives from 1987 to the present without charge, as well as those from 1851 to 1922, which are in the public domain. There will be charges for some material from the period 1923 to 1986, and some will be free." The story indicated that while the Times had generated about $20 million from 227,000 paying subscribers — out of 787,000 over all — and generating, the paper didn't release how much traffic would be generated by the search engines, visitors who would be less likely to subscribe to the service. "The Times’s site has about 13 million unique visitors each month, according to Nielsen/NetRatings, far more than any other newspaper site." The paper expects to make up loss income via increased advertising revenue, especially since the Times has collected information about its online readers that is particularly attractive to advertisers. "The Wall Street Journal, published by Dow Jones & Company, is the only major newspaper in the country to charge for access to most of its Web site, which it began doing in 1996. The Journal has nearly one million paying online readers, generating about $65 million in revenue." Using GIS data from ESRI (a leader in the GIS software & data field - pssstt... we bought some way cool data from them that you'll be hearing more about soon...) National Geographic's MapMachine offers good looking satellite views, physical maps and road maps. But it also provides theme maps on a range of topics, including weather, population density, natural disasters, and nature & conservation. While many of these topics are probably more applicable to school projects, others (perhaps congressional district maps or land use maps?) just might be useful at work. Whatever your motives, its pretty cool. An advisor at one of our regional centers asked me to share some information he learned while working with a client last week. During the course of the counseling session, the client revealed she had signed up with a credit counseling service, Clear Your Debt LLC, from Austin, TX. The advisor was concerned when he read the contract the client signed, which prompted him to investigate the company. The Better Business Bureau in Austin told the advisor they had received numerous complaints against Clear Your Debt LLC. Though Clear Your Debt promised financing, counseling and other assistance, the advisor’s conclusion - after reading their confusing contract and talking to the BBB - was that the client would pay $15,000 for basically nothing. At that point, the advisor encouraged the client to return the contract she signed and cancel the agreement (this was within 3 days of the client signing the agreement). The advisor called me and asked that I share the information with other SBDC advisors in case any of you encounter a client with questions about Clear Your Debt LLC. The advisor’s message is that small business owners should be cautious when dealing with any credit counseling services such as Clear Your Debt, and avoid any signing any agreement or contract with them without first talking to an advisor. The FTC website has a series of fact sheets for consumers, including the following. CNN.com ran an article with basic information about dealing with credit counseling agencies in June 2002. It is a little dated, but I think the information is still relevant. The Association of Religious Data allows you to interactively explore the highest quality data on American and international religion using online features for generating national profiles, maps, church membership overviews, denominational heritage trees, tables, charts, and other summary reports. Over 350 data files are available for online preview and most can be downloaded for additional research. I had a question about the number people practicing Islam in parts of New York for a question about the dietary practice known as halal. I used The ARDA search mechanism and found files describing the number of Muslims by county. Other sources of religious data: Hartford Institute for Religion Research and Glenmary Research - the latter especially good for a breakdown of Roman Catholic numbers. Not so incidentally, it would be a mistake to assume that most U.S. Arabs are Muslims. In fact, if you go here, you'll see that most Arab-Americans are Christians. The Research Network has answered over 23,000 questions since its inception. I've been around for most of them. Most every new request reminds me of something we've researched in the past. It's that deja vu feeling, on a daily basis. You can't trust it, though. I wanted to write a post about business incubators in New York, but I was sure I'd done it a year ago. I hadn't. I looked & looked, but there's no record of it. My bad. Sometimes, I just think I remember things. Pass this list on to clients of yours whom you feel have the potential to benefit. And sorry for not getting this to you earlier. Say, a year ago. When the Do Not Call registry opened registration to the American public in 2003, the majority of individuals rejoiced at the thought of no more telemarketer calls. According the FTC, "The registry was created to offer consumers a choice regarding telemarketing calls". Now, the list has started to expire since numbers are only on the list for five years from the date registered and not everyone who originally signed up is aware that they may be recieving unsolicited calls in the near future. For the article on the list expiring, go here. To re-register your number when it expires, go here. For more information from the Federal Trade Comission, go here. Someone at the State Library took the trouble to compile in one place all of the databases tucked away on the websites of New York State government agency. God bless those librarians. Check out the page here. Some you already know about (like the Business Permit System, or the Corporation and Business Entity Database [which I wrote about last week]). There are others on such things as inmates in New York correctional facilities, profiles of licensed doctors, links to websites of licensed insurance departments, and other tidbits. I'm particularly interested in the GIS Clearinghouse website. I'll explain why in a future post (hint, hint). As I mentioned a couple of weeks ago, we have created an online catalog of our circulating collection on the LibraryThing network. Its pretty easy to enter records, as you just provide the ISBN or title, and the database finds a matching record. That said, not all the records are perfect, and since we didn't enter all the data ourselves, their may be some inconsistencies. For example, the Entrepreneur start-up guide records all look a little different. With that in mind, we'll try to "tag" records, to pull together similar items. So please check out this new resource, and bear with us as we add and update our records. P.S. The above image is a portion of a tag mirror for our collection. Learn how it works and see the whole thing here. Neat! The SBA Office of Advocacy released an update to the Frequently Asked Questions (FAQs). It estimates that there are 26.8 million small businesses in the United States, and addresses small businesses' importance to the U.S. economy. It provides data on small business firm survival, owner demographics, health care questions, regulations, and procurement. Advocacy's updated FAQs can be found here (PDF). Small businesses are defined by New York State as those businesses that employ fewer than 100 employees. Small businesses in New York may be sole proprietorships, partnerships, limited liability companies and partnerships, general business corporations, subchapter S business corporations, or transportation, transmission, and utility companies. Data presented in this report includes employment and business receipts by entity type and employment class. 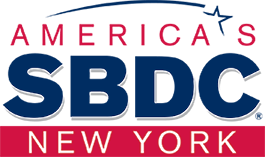 This edition of the Small Business Report provides data for New York State small businesses in tax year 2003. To download the entire publication, please visit here.